The last several days have been very cold. When temperatures at night are in the single digits and daytime temperatures are in the mid-twenties, cuttings may arrive very cold or frozen, which can result in freezing or chilling injury to the plants. Some plant species such as Ipomea (sweet potato vine), Coleus, Lantana, Portulaca and Crossandra are very sensitive to cold and are likely to show injury even above the freezing point temperature of 32°F. 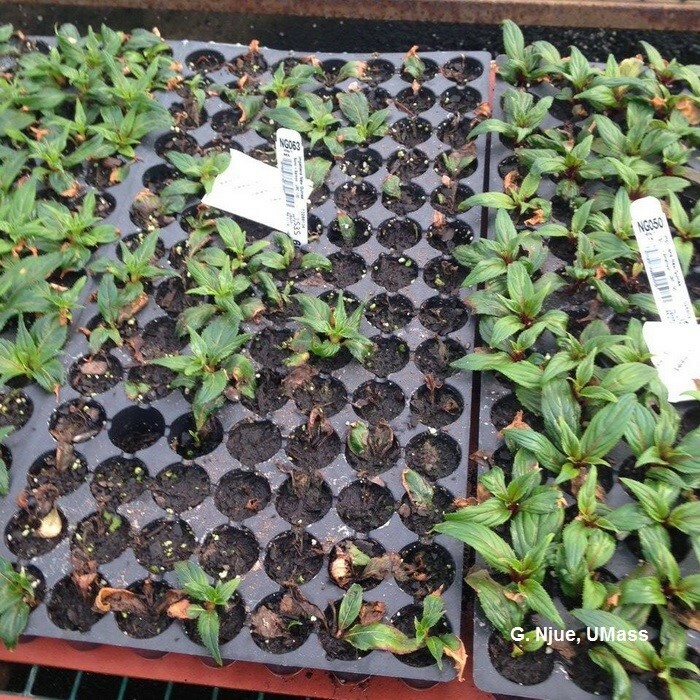 Make sure to check cuttings of these plant species as soon as they arrive for possible cold damage. If cuttings arrive very cold, open packages and inspect plants immediately. If the opened package has a compost-like odor, plants are likely damaged from the cold temperatures and are beginning to decay. Damage usually becomes apparent within a few hours after exposure to warmer temperatures, however chilling damage may take longer to detect. If chilling injury is suspected, flag specific shipments when putting them on benches. Chilling injury may result in apex (growing tip) death and leaf abscission. Chilling injury may also manifest later, causing cuttings to start to rot and fail to root. If you receive cold damaged cuttings contact the vendor right way to make a damage claim.